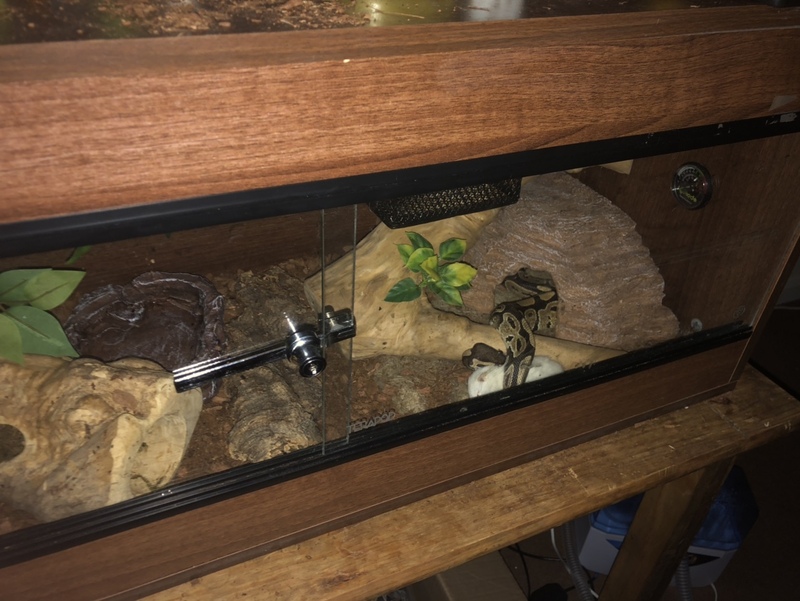 My ball python (Syd) has been awake during the day. Not roaming, he just sticks his head at the entrance of his hide. I don’t know if this is because the past two feeds I’ve been giving him them whilst the lights were still on, but only a couple of minutes before they go off during the evening. 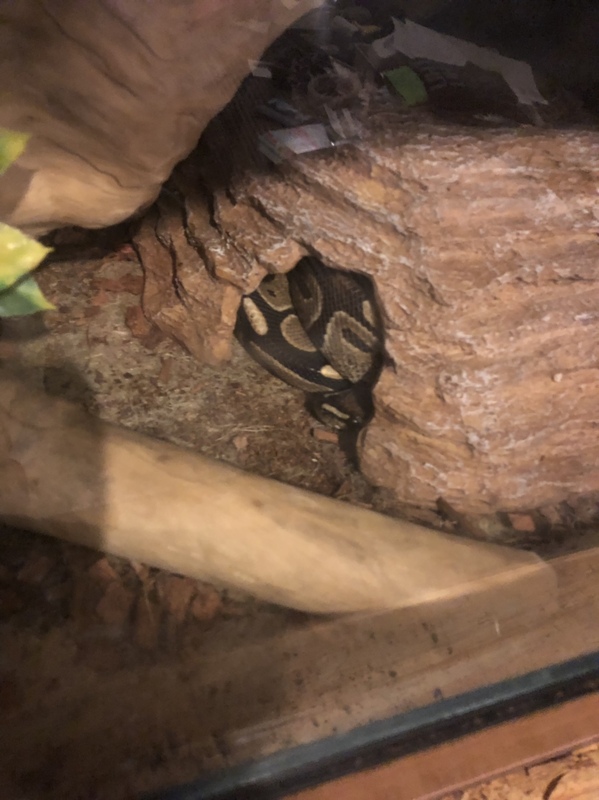 Ball pythons are ambush predators, mine often sleeps like this with just his head poking out I believe they do this invade something comes along and will make a tasty snack, as they are opertunistic ambush predators in wild who usually hide in rodent burrows. I only ask the question because I’ve only notice him do it whilst I’ve fed him with his lights on. He’ll take it about two minutes before they go off an starts eating/swallowing it when they’re off. And that’s what mines been doing. As well in the first pic. Went and checked him and sprayed around the viv. As soon as I opened the glass door he just sprung out. really should have, like many of us?) Normal for BPs to rest peeking out of their hides anyway...optimism. He will gladly sleep all day like that it’s just in case any food comes along they can grab it. Last edited by Jamiekerk; 01-11-2019 at 11:41 AM. Just upped his food to small rats, surprised he actually took them. They’re reasonably bigger than his previous meals.